Dominick Domasky is an inspirational author, YouTube host, sales expert, and the founder of the inspirational sharing and publishing platform Motivation Champs. Dominick is the author of the inspirational books, The Journey of a Grunt and Don’t Double Bread the Fish, and creator and co-author of the hit books The Unofficial Guide to Fatherhood and Go Ask Your Dad. His greatest accomplishment are his two children, and he aspires to be the best husband and father he can be. 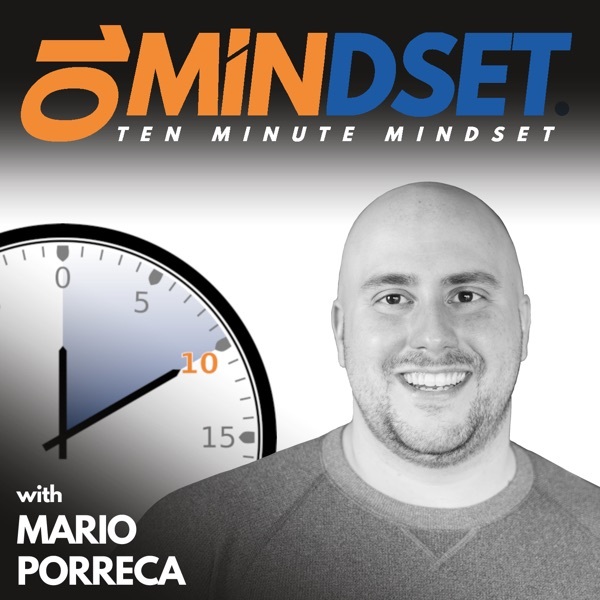 Dominick joined Mario on 10 Minute Mindset to talk about creating long-term success, the strategy of stacking wins, his mission of spreading inspiration and motivation, and how he and his son are doing just that. Connect with Dominick online at MotivationChamps.com and follow him on Facebook, Twitter, LinkedIn, and YouTube.